Amber at the Birder’s Lounge has posted the newest Circus of the Spineless. To celebrate her menu of invertebrate delights, what better than a serving of escamoles? Have you ever eaten ants? Photograph from Wikimedia by Cvmontuy, Taken on “Los parados” Dr. vertis, Mexico D.F. Escamoles? You are going to have to explain … are there ants in there? And yes, we had chocolate covered ants in 6th grade … crazy teacher who thought it great fun to get us to try weird things. Chocolate covered ants & grasshoppers stand out in my mind 40 years later, along with dissecting a cow’s eye! That’s when I discovered that formaldehyde makes me faint! 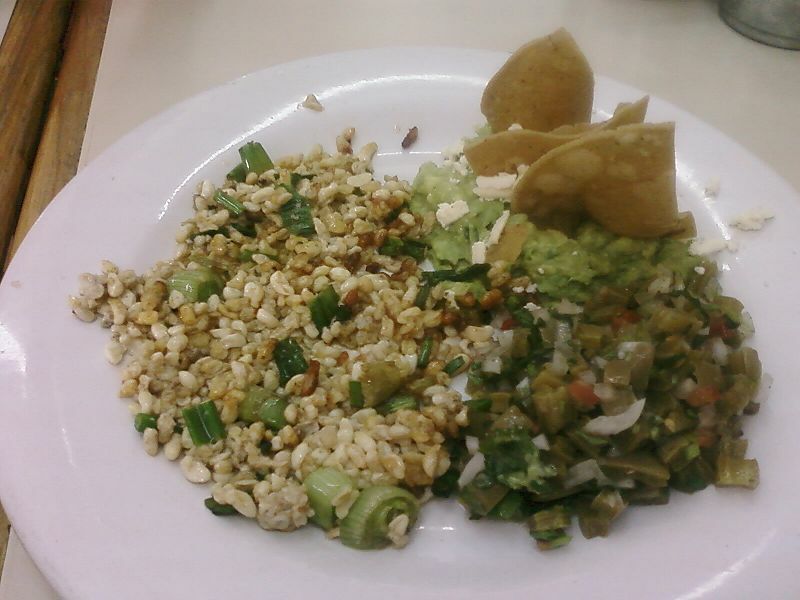 In Mexico, ants are found in a delicacy called escamoles. 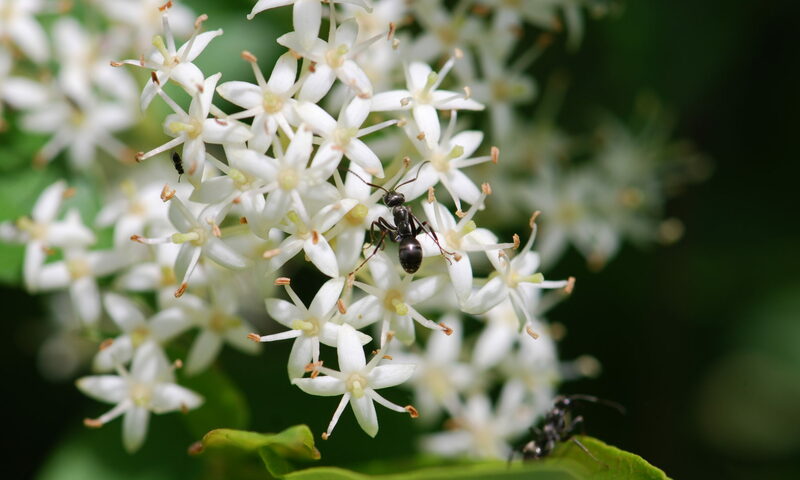 Farmers collect the pupae of a particular black ant associated with agave plants. The escamoles are sold to fancy restaurants where they are treated like expensive caviar. In fact, historians have found that escamoles have been revered since ancient times. Ancient people could pay their taxes to Emperor Montezuma by bringing him escamoles. Sorry to hear about your run in with formaldehyde. Best to stay away from it.